Ever wanted to see Picard, Data, Riker, and the rest of the crew of the Enterprise in high definition? CBS Home Entertainment will make it so. Star Trek: The Next Generation will be coming to Blu-ray next year, it has been announced. The series, a spinoff of the original Star Trek, began in 1987 and ran for seven seasons before ending in 1984. Now, for the first time ever, those episodes will be available on Blu-ray. How exactly are they going to do that? Oh, just by going back to the original film reels and editing the episodes together again. Though they’re editing the episodes back to the same configuration they originally aired in, this process will allow them a higher grade of film (as opposed the VHS tapes that could have been used). 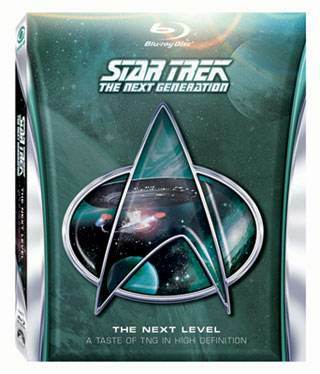 The first TNG Blu-ray release will be a sampler disc titled The Next Level. The case teases it as “a taste of TNG in high definition.” It will include an extended version of the pilot episode, “Encounter at Farpoint,” as well as the season 3 episode “Sins of the Father” and the season 5 outing “The Inner Light.” The set will be released on January 31, 2012. Season one is slated to be released on Blu-ray later this year, with subsequent seasons slated for release in 2013 and beyond.